It has finally happened. It is finally fall in Alabama, people. Like I actually wore a jacket to work today. I haven’t turned on my AC in over 24 hours. I didn’t sleep with my ceiling fan on last night. I don’t even care that we’ve been having the DREARIEST weather for the last two weeks. It’s my absolute most favorite time of the year, especially with the holidays coming up. And you know what’s good during the holidays? Cake. And what’s perfect for fall weather? COFFEE. So today we’re baking with International Delight Iced Coffee. I first discovered this stuff when I was in college. I remember it was the first time I didn’t go home for the summer because I got a job, and it was just too ridiculously hot outside to drink a cup of steaming coffee in the mornings. Iced coffee has been a total life saver for me, and now I drink it pretty much year round. I love having it ready to go in my refrigerator so I can skip the coffee shops on the way to work. Because given the options to sleep a little later or stop and grab some coffee…I’m probably going to hit the snooze button. 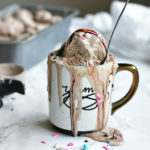 Another way we can enjoy iced coffee year round? 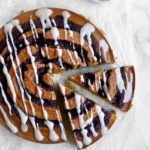 By baking stuff! 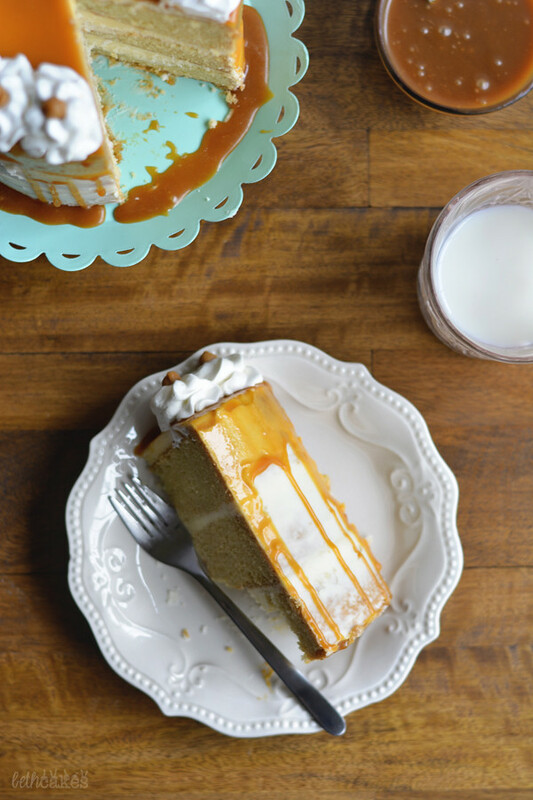 I have ALWAYS wanted to make one of those cakes with caramel dripping down the sides, so I figured this was a good time to take advantage of International Delight’s Caramel Macchiato Iced Coffee. 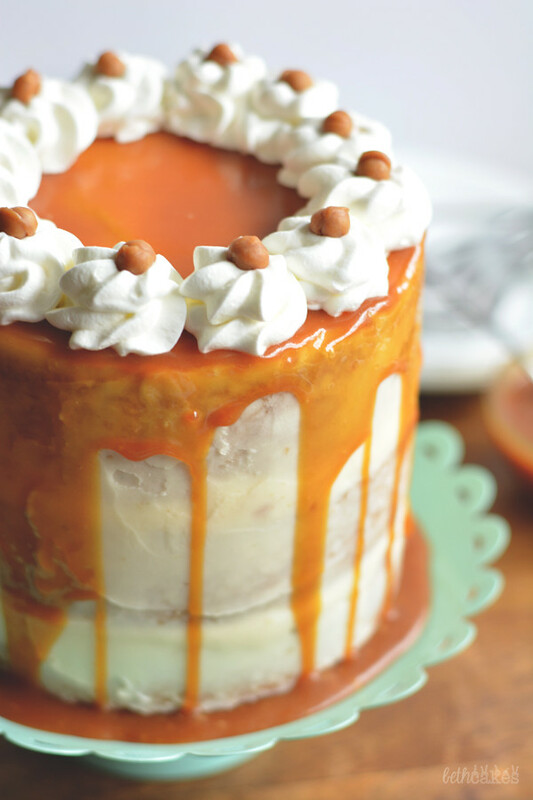 Caramel is also perfect for fall, so you really can’t lose here. 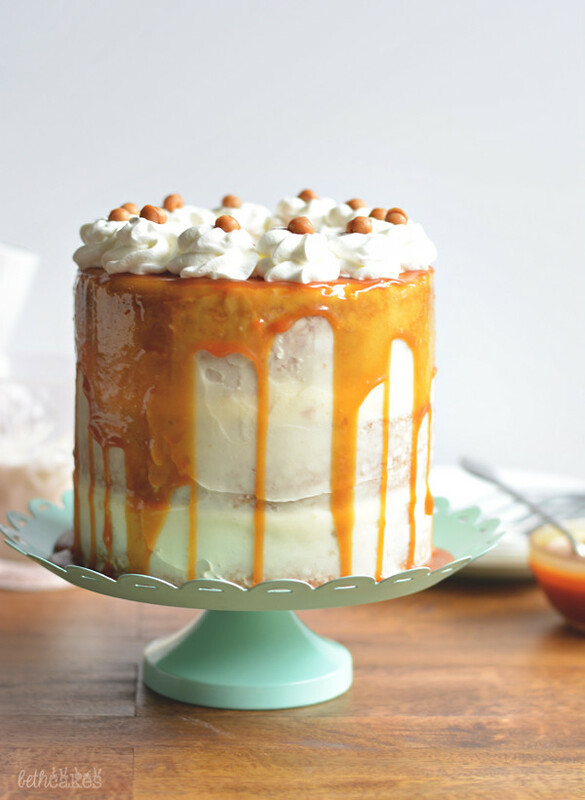 the cake – flavored with Caramel Macchiato Iced Coffee. 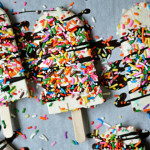 the frosting – also flavored with iced coffee and a homemade caramel sauce. the caramel sauce – to bring that coffee flavor into the caramel sauce…I just straight up poured some coffee in it. And a little bit of Vanilla Macchiato Creamer. dat whip – to top it off (because who says no to whip? ), coffee whipped cream. I used coffee extract, but vanilla works too. 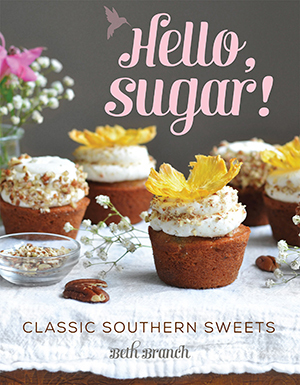 In a saucepan over medium high heat, cook the sugar, until it starts to melt on the bottom. Stir continuously until the sugar sticks together and forms clumps/shards. Stir slowly until all the clumps melt and sugar has durned a golden brown color. Reduce heat to medium. Stirring continuously with one hand, add the butter with the other. Because the butter is colder than the caramel, the mixture will bubble and sizzle quite a bit. Once all the butter has completely melted, still continuously stirring, slowly pour in the coffee and creamer. The mixture will sizzle even more than before, but just keep stirring carefully and quickly. Add salt and continue slowly stirring for another minute. Remove the pot from heat and let the caramel sauce cool completely before using. Preheat oven to 350*F. Spray two 8-inch or three 6-inch round cake pans with nonstick spray. Whisk together flour, salt, baking soda, and baking powder in a bowl and set aside. In another bowl, combine sugar, oil, eggs, and vanilla. Mix on medium speed with an electric mixer until ingredients are incorporated. Add half the flour mixture and half the ice coffee to the sugar mixture. Mix well. Repeat with the remaining flour and iced coffee. Divide batter evenly among the prepared pans and bake for 18-20 minutes, or until golden brown and a toothpick inserted into the center of the cakes comes out clean. 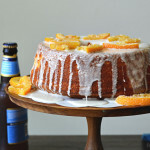 Let cakes cool completely before frosting. Cream butter on medium speed until smooth. Add caramel sauce and mix well. Add half of powdered sugar and 1 tbsp milk. Mix on low speed until mostly combined, then medium speed until completely combined. Repeat with remaining powdered sugar and milk. 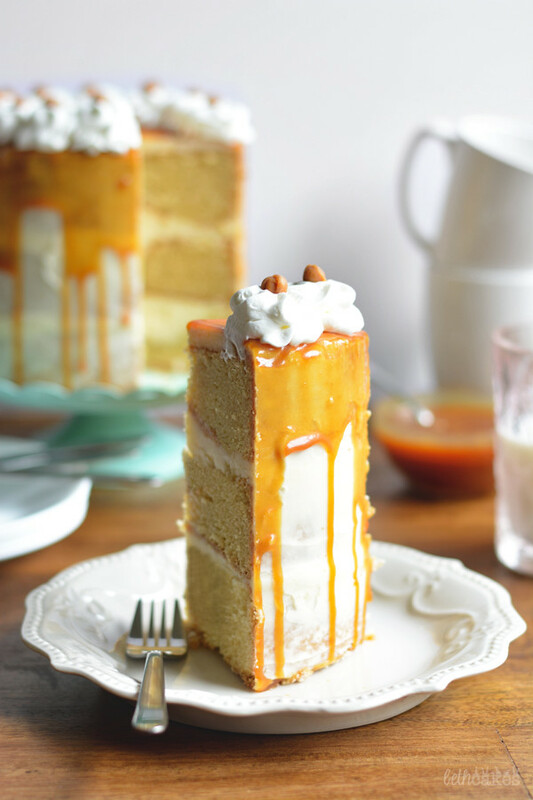 To achieve the drippy caramel sauce look, pour caramel directly onto the center of the cake, but just enough to cover about half of the top layer. Then use an offset spatula or a spoon to spread the caramel out to the edges. Let it roll over the edge by itself, then go back and add more drips with a spoon if you'd like. 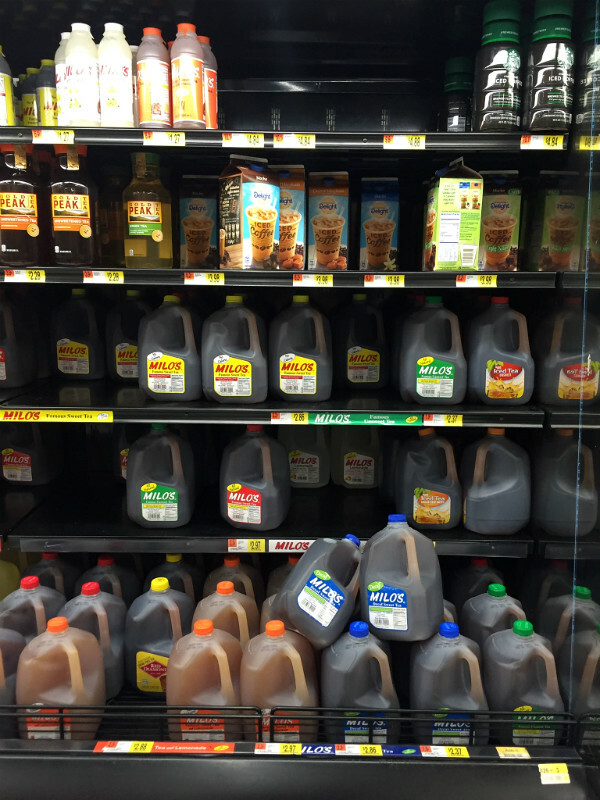 Also I’d like to point out that International Delight Iced Coffee used to be located over in the milk/creamer section of Walmart, and now it’s located over by the iced teas and juices. Don’t miss it! Make sure to check out all the flavors too: Mocha, Light Mocha, Vanilla, and Caramel Macchiato! Good golly! This cake looks incredible! I am pinning it everywhere. 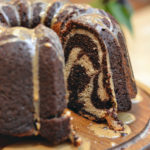 You truly are the queen of layer cakes! Holy moly! 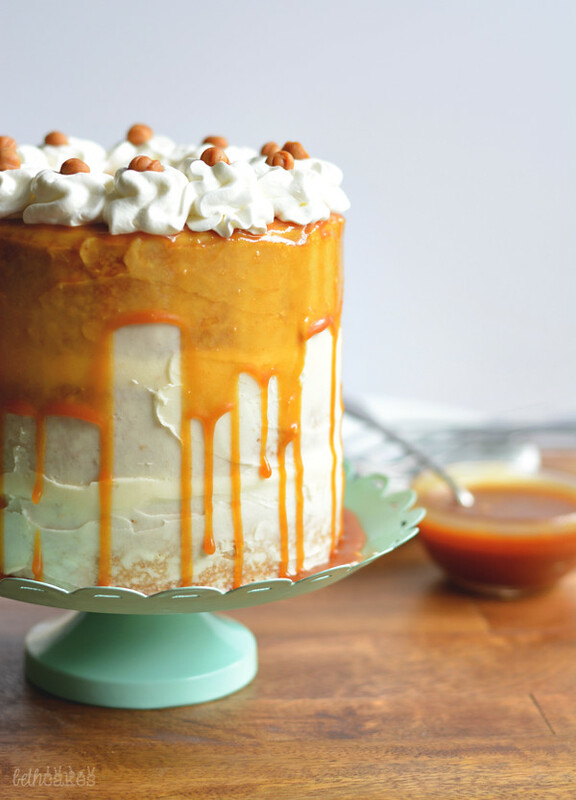 Those drips of caramel are just killing it! I’m seriously salivating over here! We’ve had crazy weather here in New England. Snow flakes one week and then 70 degrees the next. So I can’t decided what to wear or weather to put the heat on or open my windows! It’s been nuts! Your cakes always make me drool. They’re so beautiful! And I seriously LOVE that coffee. This cake is beautifulllll Beth!! It sounds just awesome too! haha It had finally gotten cooler by us and then over the weekend we had to turn the AC back on .. ridiculous!! 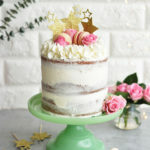 That is such a pretty cake! 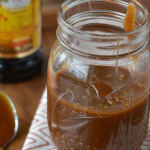 And coffee caramel sauce just sounds like the best thing ever! Whoa, this cake looks incredible, Beth! Love all of the coffee you packed into it! This showed up on my pinterest and I knew right away it was your cake. Just stunning! !